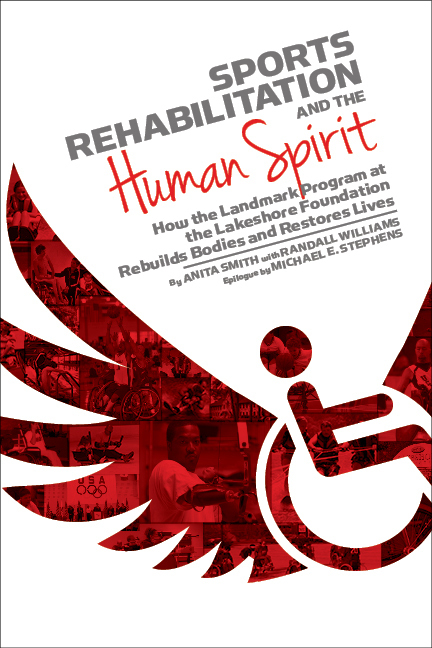 Sports Rehabilitation and the Human Spirit tells the intersecting story of a man, Michael E. Stephens, and an organization, the Lakeshore Foundation of Birmingham, Alabama, whose campus is world-renowned for rehabilitation, sports, and fitness services for children and adults who have experienced physical disability as a result of injuries, birth conditions, illness, or in service to our nation. This includes those with paralysis, amputations, and limited mobility and function due to muscular dystrophy, multiple sclerosis, cerebral palsy, spina bifida, stroke, and other health conditions that could present significant physical challenges. Stephens himself experienced a spinal injury and paralysis as a young man, later becoming a successful hospital executive and entrepreneur. The Foundation came out of this work, and today the Foundation operates a 45-acre campus, the showcase of which is a state-of-the-art 126,000-square-foot building that hosts many regional and national competitions for individual and team sports for those with physical disabilities. Some Lakeshore participants engage in sports and recreation for fun, others are Lakeshore-based athletes engaged in competitive sports, and still others are Paralympic and Olympic athletes who come to Lakeshore Foundation for training; in 2003, Lakeshore was designated by the United States Olympic Committee (USOC) as an official U.S. Training Site for Paralympic and Olympic athletes. Mike Stephens’s story and Lakeshore’s story are told here along with the inspiring stories of many individuals with disabilities who have rebuilt their lives through sports and fitness.